Are you one of those who loves the sound of a deadline whizzing by? Procrastination may be your adrenalin pumping mechanism, then. A report that had to be submitted yesterday is still on your desk. Tickets will suddenly get booked at midnight – just a few hours before travel. Bills that need to get paid will be settled a few hours before the late fee timer starts to tick. Does all this sound familiar? Procrastination, it is. What is procrastination really? The habit of putting tasks off until it is either too late or just about time, is termed as procrastination. So how does it work? 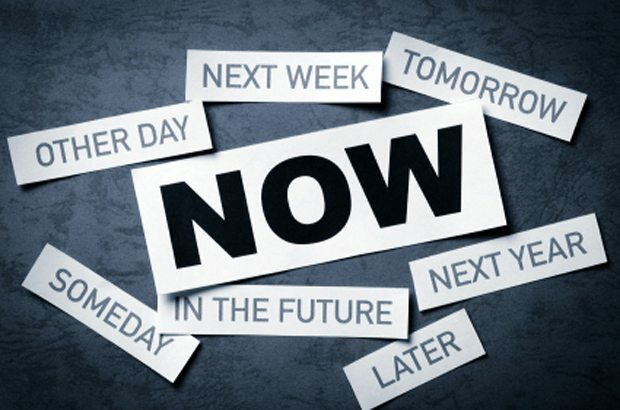 Here are a few myths and facts about procrastination. Are you born with it? There have been numerous studies to suggest that procrastination is something that can be inherited in some cases. You may be born that way, or you may develop an aversion towards certain kinds of tasks over time. This may be due to trauma or simply not being able to assimilate the sub tasks around the same. In many cases, though, procrastination may be a learned habit cultivated with chronic laziness. Can you cure it? Procrastination can be dealt with if handled with care. You can actually make a number of lifestyle changes to ensure that you do not fall prey to the habit again and again. It is not a disease that will need to be cured with medication – but a simple series of measures can actually help you break the habit. Is it a symptom? Many psychiatrists and psychologists hold the opinion that procrastination may be a symptom of a greater affliction like depression, anxiety, stress, trauma and other such issues. If the habit of putting things off reaches a debilitating degree wherein the individual also experiences symptoms like hopelessness, irrational behaviour, fretting, impulsiveness and unreasonable beliefs, then there is need for clinical intervention. Find a partner: If you find a partner for a task like hitting the gym or finishing the revamping of your room, then you will be more likely to actually get the task done with. Having a partner builds accountability and keeps procrastination at bay. Use the right words: Sometimes, the way we hold an internal dialogue can greatly alter the way we think and behave. An encouraging inner dialogue and a procrastination speech can be just the thing to pull you out of your laziness to get up, and get the task done. Reward yourself: Know when to stop and reward yourself so that you actually have something to look forward to. Often, we refuse to see the pot of gold at the end of the rainbow because we are too busy looking at the dreary clouds of gloom, to stay indoors and duck out of the heavy work. Find a reward and keep the goal in mind as you finish your task. Keep distractions at bay: Switch off the TV, put the phone away for a few hours, refrain from taking a walk away from the site where the task is to be completed, ask your family not to disturb you for a bit. All these things will help you ease into the task instead of looking at it like an unwelcome chore. Make a routine out of it: If you are procrastinating over something that is to be done everyday and seems monotonous, then make it a routine matter. Add some music or a fun element to it. Routine could also help if the task is a particularly big one like creating a terrace garden. You can break it down into smaller tasks and devote an hour to each small task every single day. As you watch the plan bloom into succession, you will need no further encouragement to keep at it. Ditto for writing that book, creating that piece of art, and so much more! Finally, do not shy away from asking for help if the task seems particularly daunting. Do not give up because you are stuck somewhere. Having said that, it would also be a good idea to remember that sometimes you may need to examine certain tasks and see if they are actually worth your while so that you do not end up wasting time – this may even discourage you to take up something new in the future. Some people actually believe that procrastination can be a good thing sometimes as it helps you fine tune a plan or a piece of artwork – so you can also look at it that way as long as the delay does not cost you a precious opportunity!